My oldest son Lucas has suffered from night terrors and nightmares over the years. He’s never been a great sleeper as it was, sleeping only 15 minutes in 24 hours when I first brought him home from the hospital. He’s a sensitive wee soul and worries about things. He gets upset easily and is scared when people are in hospital and terrified of fire. I’ve tried addressing these problems through re-assurance and social stories, etc. Going over that he is safe, magical teddy’s, night lights and leaving the light on. He did sleep better when he started sharing a room with his little brother Tyler when he was 3 years old. This did make a difference, but then the nightmares started a while after. 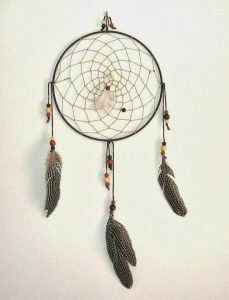 One thing that worked was a dream catcher above his bed. We told him it would keep the bad dreams from coming in at night. This worked for a while. 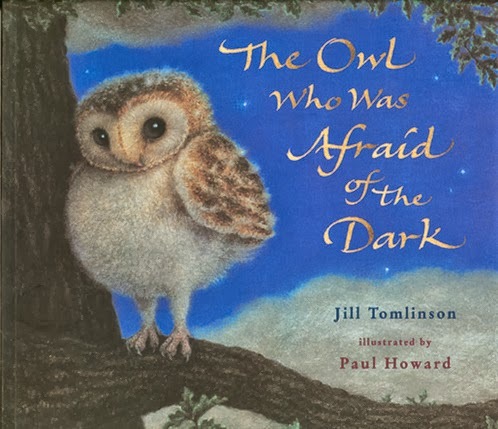 Another great ideas we have tried that have worked with Tyler was the book The Owl Who Is Afraid of the Dark. 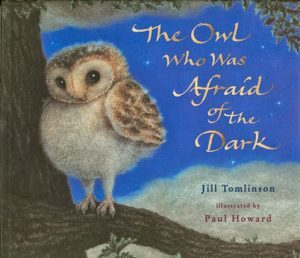 This was great when he was saying he was scared of the dark and a night light. We also gave him monster spray, which is made up of a spray water bottle I got from TJ Hughes, then fill it with Lavender oil and water. Don’t forget to put a sticker on the front with monster spray and add some pictures. The more effort and imagination you put into this, the more they believe it’s real. I put Lavender oil on both boys pillows before they go to bed, just a few drops and make sure it’s somewhere they won’t put their face on. It won’t do them any harm but it might sting the eyes if too much is used. This has made a massive difference in calming and letting them drift off to sleep at the start of the evening. Recently, Lucas was having real problems with thinking we were going to have a tornado, yes in Scotland, but he watched something on the discovery channel and now he thinks we are going to get hit with one. Tyler was read a book at school which had a monster in it, it was really a pile of clothes after I spoke to the teacher and got to the bottom of it, but he was still freaked out. To help with these worries, the fairies stepped in. Yes thank goodness for fairies. A fairy door is a must to allow them to come into your house by the way. The fairies delivered a pretty little tin to both boys when they were out at school and inside the tin was a magic stone. The fairy left a note explaining these stones were special and would protect them when they sleep. They had to look after their stone, keep them under their pillow and not tell anyone about them as it was a secret. They were over the moon and you know what it worked. I bought some lovely little tins from TJ Huges while I was in Glasgow and didn’t know what to do with them, now I know. I love that shop you can get everything in there, my mum was with me and bought a a new bed which was really affordable and some great value curtains. I got some other odds and ends, I didn’t know they were online as well. Anyway I digress. I also bought some glass pebbles, you know the ones you can buy for vases. I then used a cd pen to draw a star on them and placed them in the box. I wrote the letter and placed the boxes on their beds. I didn’t tell them about the boxes, I waited until they found them and boy were they delighted and excited. It was wonderful to see how much they believe in magic. I wish they would never lose that. Do you have any other tips I can add for when the fairy stone protection runs out? Or any stories to share?